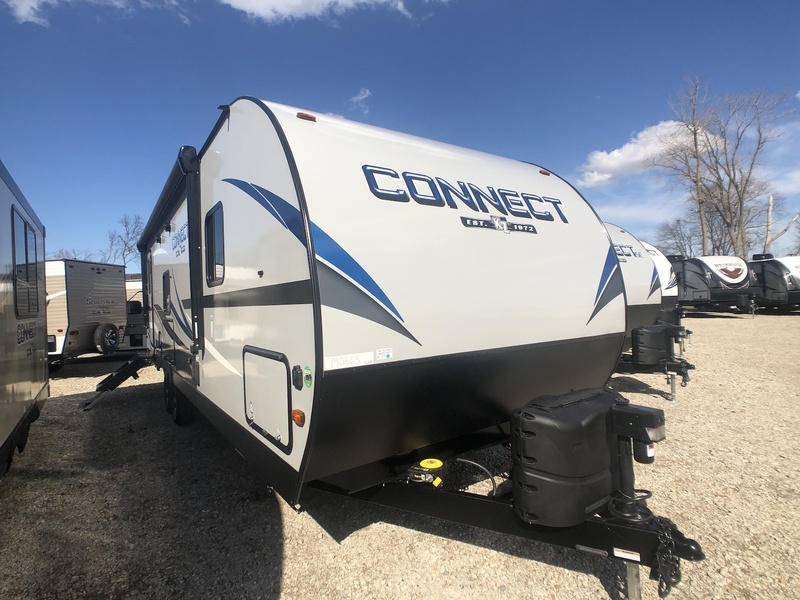 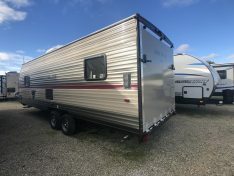 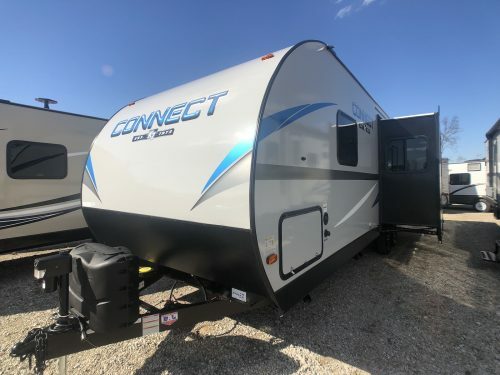 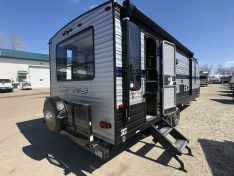 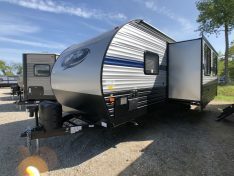 The new Spree Connect 261RKK travel trailer, has everything you have been looking for. 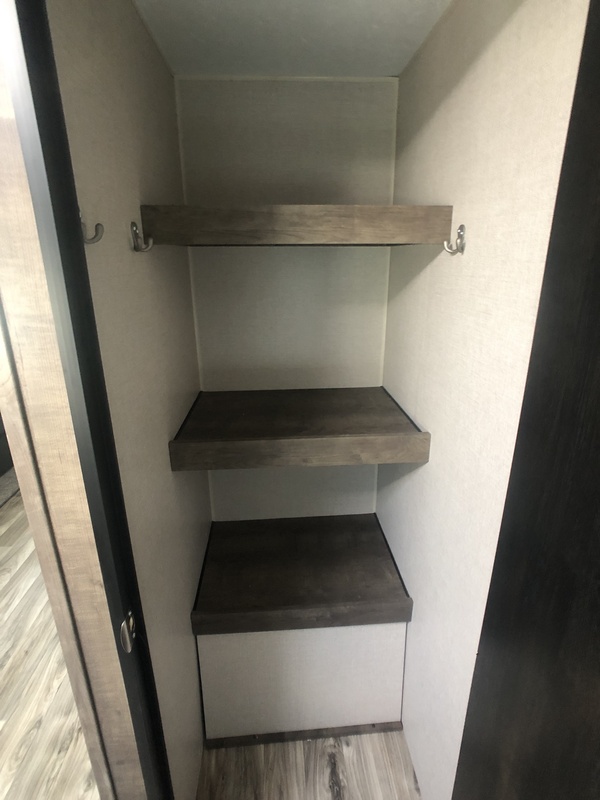 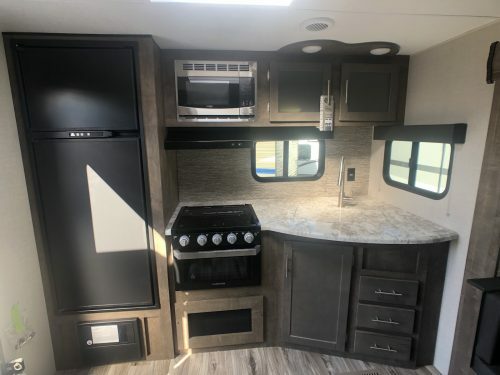 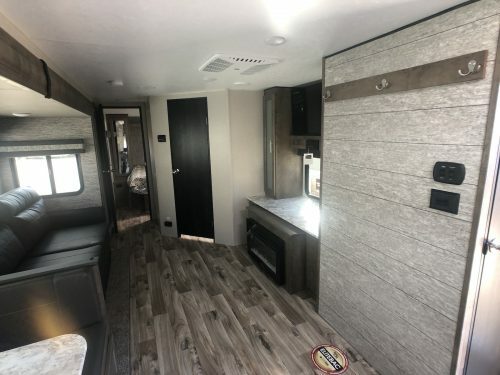 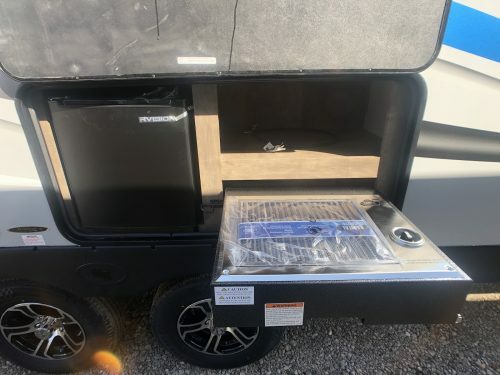 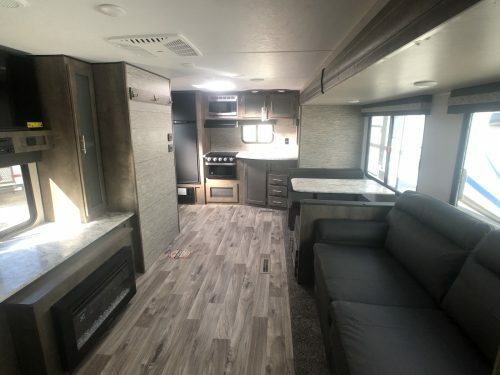 When you enter the 261RKK Connect you see the large rear kitchen with a Dual function RV Refrigerator, 3 burner cook top, large sink and plenty of prep space. 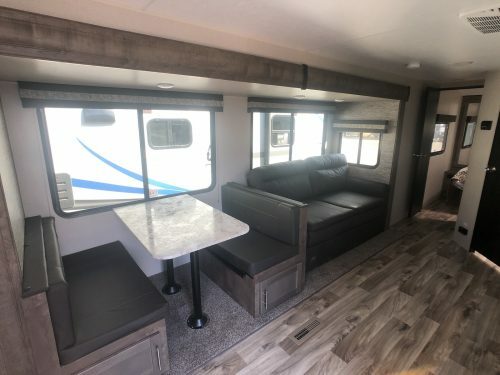 The supper slide out offers a dinette booth and sofa. 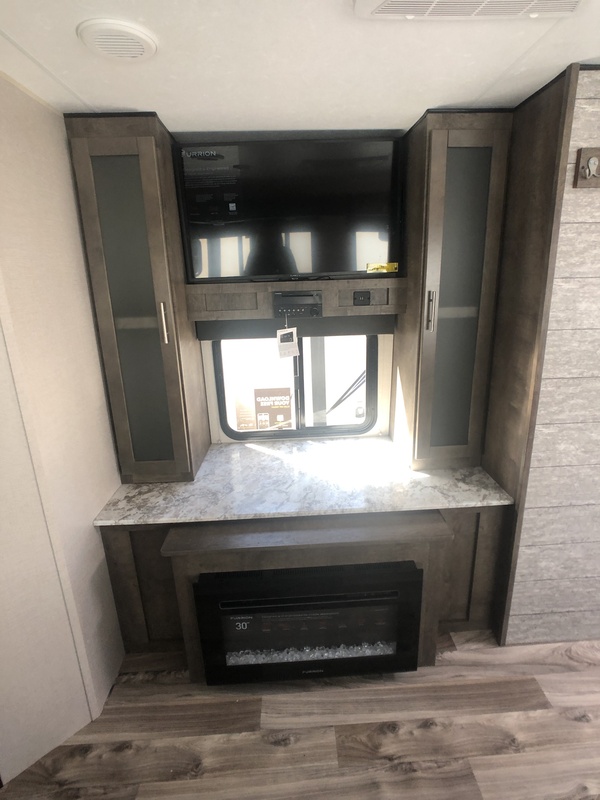 Across from the sofa is the large entertainment center with an optional fireplace. 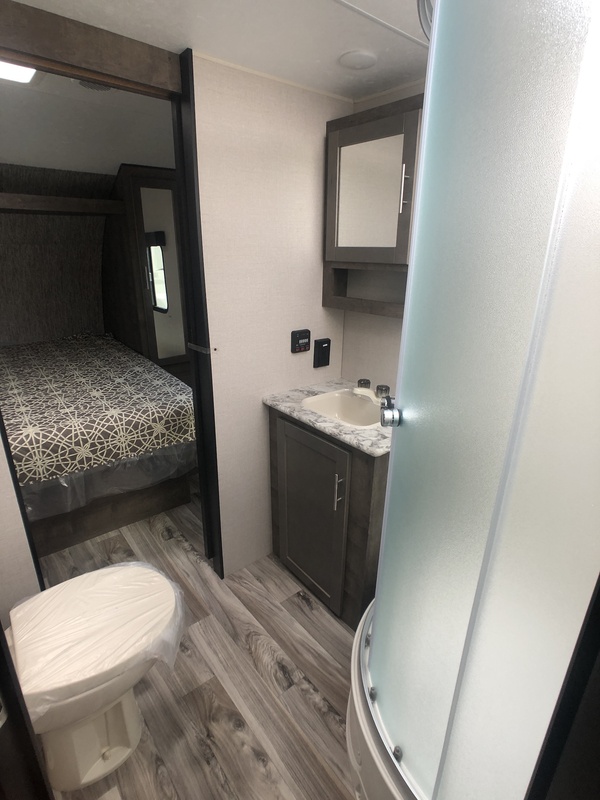 The Master bathroom sits in the center of the 261RKK with a glass corner shower, foot flush toilet and access to the master bedroom. 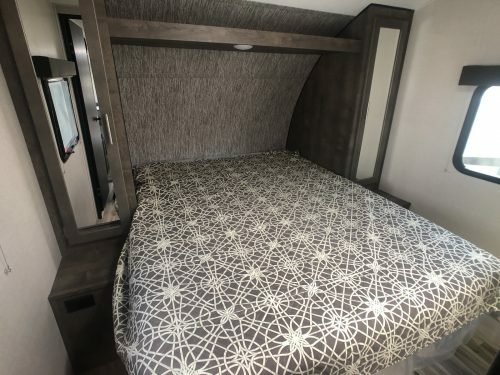 The Master bedroom sits in the front of the connect with a full-size queen bed and wardrobe space on each side. 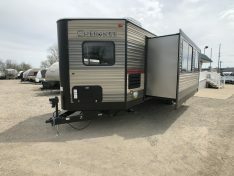 On the outside of the Spree Connect by KZ it offers a large power awning with LED lights and an outside kitchen with grill.